This dream guide from Jennie Allen was a great aide in my New Year processing! I crave the space at the end of one year and the beginning of another to reflect on the past year and to look toward the future. During a few days over the holiday, I consciously spent time reflecting and creating goals. Some are things that will carry over from last year, changes I would like to make relationally in my marriage, community group, and friendships. Others are lifestyle changes that I want to work toward over time; such as working out more, reading 60 books, creating a healthy food rhythm, blogging consistently, resting adequately, and studying as well as reading God's Word. None of these changes will happen naturally. Every single one of them takes intentionality, thought, and planning. All of these will require establishing or shifting rhythms and routines in every area of my life. As I experiment, some ideas will make me jump with joy over their perfect fit and some will crash into a wall at 60 miles an hour. 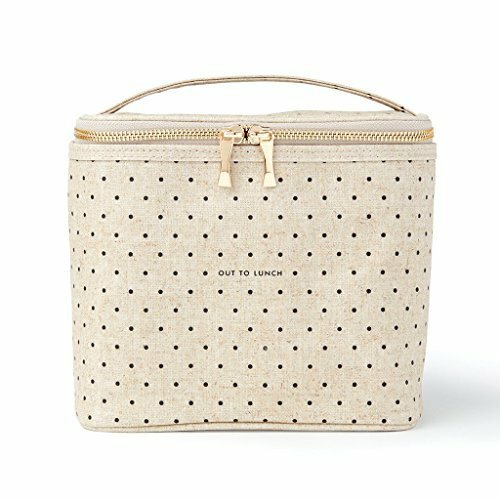 Sticking: This adorable Kate Spade lunch box. I didn't see this lunchbox in person until I received it on Christmas morning. I was skeptical about it's size in the pictures online, but decide to put it on my wish list anyway. Let me tell you, it is the PERFECT size for me. I can fit: 1) several smaller sized tupperwares plus a can of Izze or LaCroix, plus a few baggies of smaller snacks, or 2) a Trader Joe's salad plus a can of Izze or LaCroix plus a few baggies of smaller snacks, or 3) my Sistema 6.5 cup container that I use for big homemade salads plus a few smaller snacks on top of it. I no longer fear chicken tortilla soup laptop or struggle with knowing how much food I should be taking to work. I need to fill the lunchbox all the way and consume all the food before I leave the office, or I will be hangry before I even reach home! Not Sticking: An early wake up time to walk with Robert every morning. I just don't do it. We are three weeks into January and we have only walked six mornings. There is just not enough motivation to drag ourselves outside earlier than necessary. It's time to search for a new workout solution! Sticking: Essie Gel Couture. Painting my nails has always felt like the ultimate restful luxury to me, however, finger nail polish is a sore spot because I am so rough on my hands that nail polish chips within an hour of application. Because I bang my hands on things, I even requested an engagement ring with a jewel set lower into the ring to protect the ring. As an example, yesterday I jammed two fingers while typing. I'm still trying to figure that one out. Lots of people have given me advice on applying nail polish. "Your layers are probably too thick." "You probably don't use enough layers of polish." "Do you use a top coat? A top coat would definitely fix that." "Well, how long do you let your nail polish dry?" Believe, me, I've heard it all and tried it all, so don't even attempt to discount my nail polish issues. They are real. 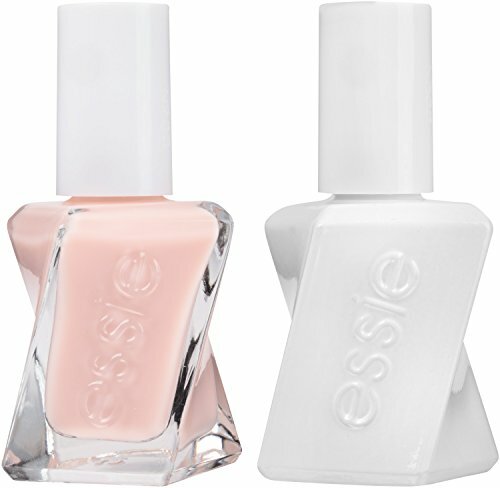 On a whim, I recently bought a bottle of polish and a bottle of top coat from the new Essie Gel line. The brand promises "60 second" dry time per coat and a "7 day wear." It sounded way too good to be true - but how could my nail polish abusing hands resist such promises? Y'all. I love this stuff. I give about 2 minutes for each coat to set, so with three coats the entire process takes less than 15 minutes. It doesn't start chipping until around day 4 or 5, and then I wear it until day 6 or 7. For me, this is 100% worth the eleven dollars a bottle because I actually wear it and get to enjoy the restful process of applying nail polish! What solutions are sticking for you these days? I'd love to hear about them!